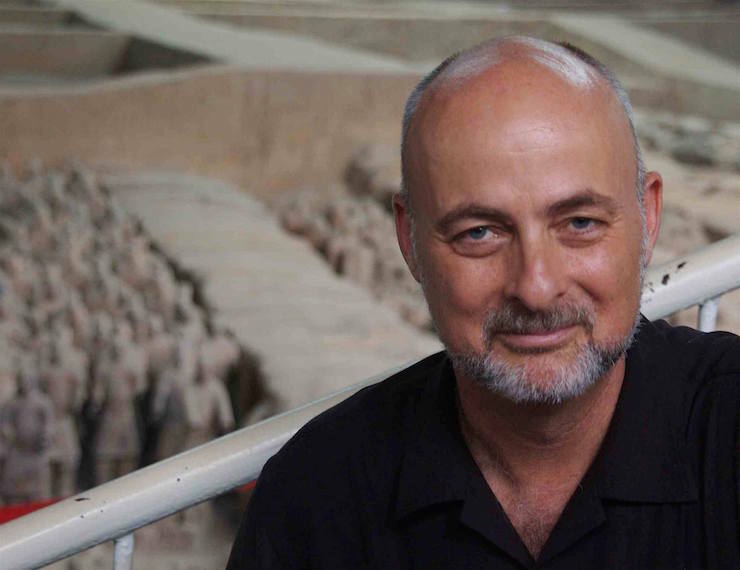 Science fiction author David Brin, whose 1985 novel The Postman was set largely in Corvallis and at Oregon State will present a talk, “Storytelling in Novels and Film: Adaptations,” October 4, 2016, at 6 p.m. at OSU’s LaSells Stewart Center in the Construction and Engineering Hall. The lecture will focus in part on The Postman, and include film clips of the 1997 movie loosely based on the book as well as feature readings by Brin. A scientist, tech-futurist and best-selling author, Brin has won numerous awards for his novels, which include Earth, the 1989 ecological thriller, and Existence, the 2012 novel which explores bio-engineering, intelligence and how to maintain an open, creative civilization. His nonfiction book, The Transparent Society: Will Technology Force Us to Choose Between Freedom and Privacy? won the Freedom of Speech Prize from the American Library Association. The event is free and open to the public. Grass Roots Books and Music will have signed copies of Brin’s work available for purchase at the event. View the event on Facebook. Brin will present the public lecture as part of a mini-residency at OSU October 3-6, where he will visit classes, meet with faculty and participate in a panel discussion about issues of technology and society. He will also conduct a master class workshop in science fiction writing for undergraduate students in the School of Writing, Literature and Film, and participate in a science fiction prototyping workshop with faculty and graduate students. The workshop will explore the role of science fiction writing as a means to explore potential new technologies, as well as their social, ethical, economic and other implications. Brin’s visit is sponsored by SPARK, OSU’s year-long celebration of the arts and sciences; as well as the OSU Robotics program, the School of Writing, Literature and Film, the School of Electrical Engineering and Computer Science, and the College of Science.